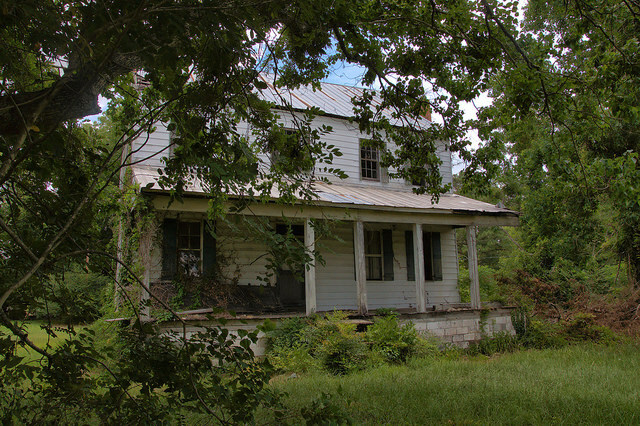 There is little information publicly available on this landmark, owned by the Lovett family of northern Screven County. Some have suggested that the Marquis de Lafayette visited here on his tour of Georgia in 1823 or 1824 but his itinerary doesn’t support this claim. 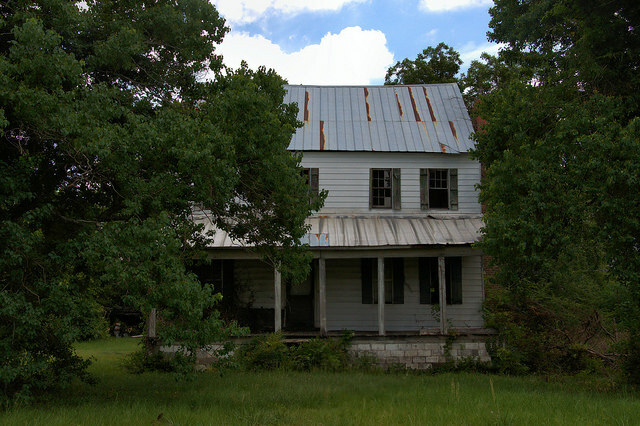 He did, however, pass through the area en route from Augusta to Milledgeville; if he did stop here, the house can be dated to 1823 at the latest. Some have suggested that it is as early as 1803, but until I have better information, I can’t say for sure. I believe it was built by Anthony Bonnell. Some of this information may be obscured as the Bonnells and the Lovetts were involved in a contentious land feud in the early days. 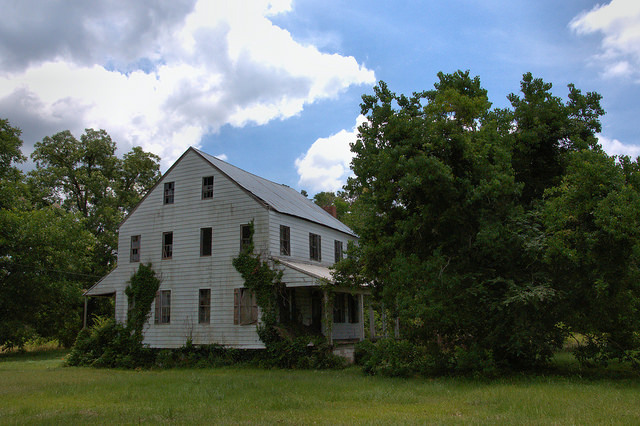 When viewed from the front, this home has a Plantation Plain appearance, but as can be seen in the top photograph, it has a half-story above the first two and that wasn’t so common to the style. It could be a later modification, or it could be a simple interpretation of the Georgian style. Thanks to Joe Jeselnik for suggesting this great old house and to Kenneth Dillon Dixon for some of the background information. You could contact Little Ray Lovett who works with Mr. Ray Lariscy about this house. This is what I was told. Ray Lariscy runs Ray’s Service Station in Sylvania, next to Professional Insurance, across from the Chinese restaurant.